The Dallas Stars have assigned defenseman Cameron Gaunce back to the Texas Stars this morning. Gaunce was called up in December after numerous injuries in Dallas. He played in nine games with the NHL Stars. Gaunce avoids waivers because he only played in nine games. The limit is ten (or 30 days) before having to clear again. This puts Texas at nine healthy defensemen: Fortunus, Jokipakka, Labrie, Button, Wrenn, Oleksiak, Meech, Sinkewich and Gaunce. Watch for more releases as either Labrie or Button will get assigned and Sinkewich will likely be released. The Texas Stars, proud American Hockey League affiliate of the Dallas Stars, announced today that Dallas has returned defenseman Cameron Gaunce on loan to Texas. Gaunce, 23, has averaged 13:50 in time-on-ice per game in nine contests with the Stars this season. 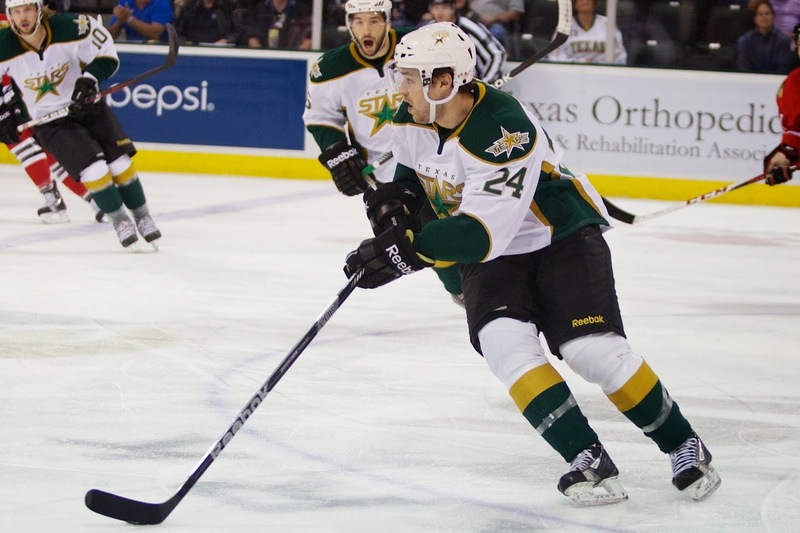 The 6-foot-1, 210-pound defenseman returns to Texas having skated in 28 AHL games for the club, posting seven points (1 goal, 6 assists) and 25 penalty minutes this season. Originally selected by Colorado in the second round (50th overall) of the 2008 NHL Draft, Gaunce was acquired by Dallas via trade from Colorado in exchange for forward Tomas Vincour on April 2, 2013.